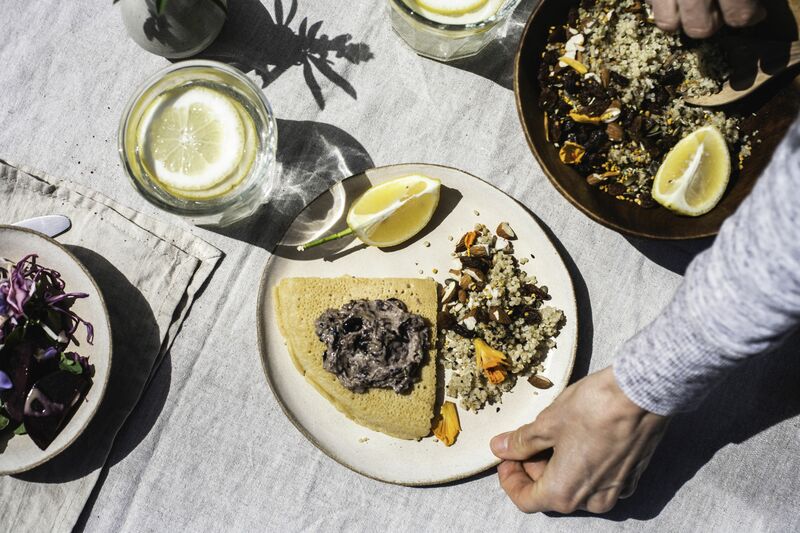 Celebrate the new warmer weather by hosting an outdoor party. You want any party you throw to run without a hitch. 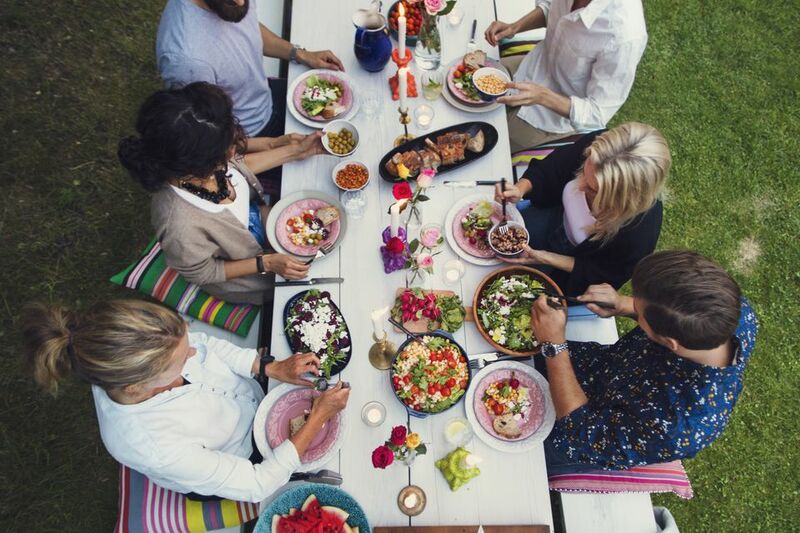 Whether you have a pool party, backyard barbecue, or rooftop get-together, avoid these mistakes to ensure that your guests have a great time. It can be challenging to know how much food to prepare for any party. This is why it’s important to have a head count of how many to expect. Then you may want to make a little extra, to keep people from going away hungry. It’s also nice to have more food in case someone else shows up unexpectedly. You don’t want your guests to be thirsty, so make sure you have plenty for them to drink. If you serve alcoholic beverages, also provide plenty of nonalcoholic beverages. Even if you allow unexpected guests to crash your party, there is one type of guest you don’t want: bugs. Flying insects can make your human guests miserable when they’re supposed to be having fun, so don’t forget to provide some sort of insect repellent for your outdoor party. You need enough places for all of your guests to sit. This can be a mix of table seating, patio furniture, and blankets on the lawn if the ground is dry. Place the furniture in conversational groupings so your guests can enjoy each other’s company. As you plan your outdoor party, you have probably checked and rechecked the weather report. However, even if the forecaster calls for clear skies, you know anything can happen. It’s essential to have a backup plan in case it rains or the wind starts to blow everything around. As the sun goes down and the temperature drops, you still want your guests to be comfortable. In addition to providing plenty of blankets and throws, there are several heating options for you to consider, such as fire pits, hot tubs, and others that are geared toward outdoor entertainment and living. One thing you don’t want to happen is for someone to have an accident and get hurt. But it can occur when you least expect it. Have a first aid kit nearby, in case you need it and hope that you don’t. This kit should include items for cuts, scrapes, burns, and bug bites. An outdoor party can be a double-edged sword. You want your guests to have a good time, and this often involves music, loud conversation, and people milling about the property. However, it can get chaotic, and things can get out of hand very quickly. Remember that your neighbors deserve respect. One of the things that can prevent problems is to invite your neighbors to your event. However, if you’re unable to do that, at least inform them that you’re having some people over and ask them to let you know if they’re being bothered. As you determine the size of your guest list, you need to consider how much parking is available. Your neighbors may be generous and offer their driveways, but don’t expect them to. Whatever you do, make sure your guests don’t block your neighbors’ driveways. Rather than provide all of the food for your guests, cut yourself some slack and ask everyone to bring a dish to share. You can provide the meat for the grill and the drinks. Having a potluck will give the guests more options to choose from, and everyone will have a vested interest in the party. Very few people object to being asked to bring something to share with others. Don’t wait until the last minute to buy refreshments, set up the outdoor space, and start getting ready for the party. Although it’s easy to procrastinate, make a list of things you need to do a week before the event, a few days ahead of the party, the day before you entertain, and the day your guests will come together. Spreading out your tasks will take a lot of pressure off and enable you to feel as though you’ve accomplished something with each step. You’ll also have a much better time at the party since you didn’t have to rush at the last minute. Your idea of a great outdoor party may be one that revolves around the food, and this is fine. However, it helps to have a couple of activities set up to keep the party from going flat. Think of icebreakers and games that help your guests engage and interact with each other. You don’t have to pull out all of your activities at once. It’s just nice to have a few things you can do if the party begins to feel dull, such as card games, board games, and conversation starter cards. If your guests don’t already know each other, providing an introduction and name tags can help prevent embarrassing situations. Even if they don’t keep their name tags on throughout the entire event, it helps when they first meet other guests.